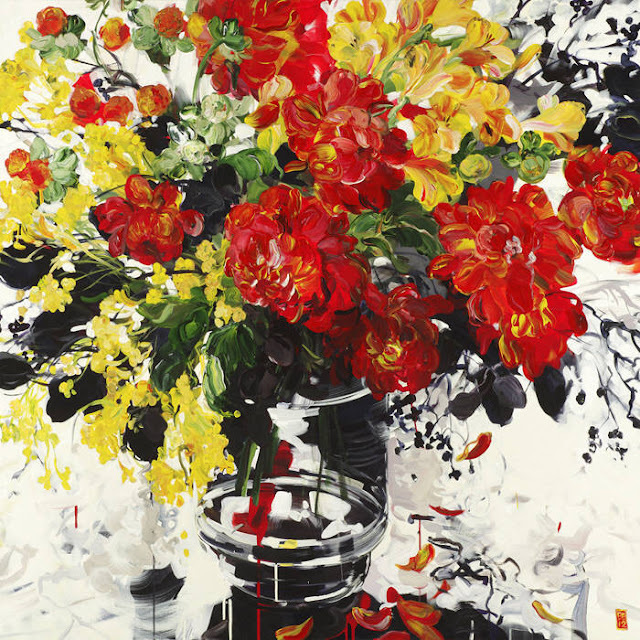 I love Vancouver artist Bobbie Burgers' oversized acrylic paintings of flowers. 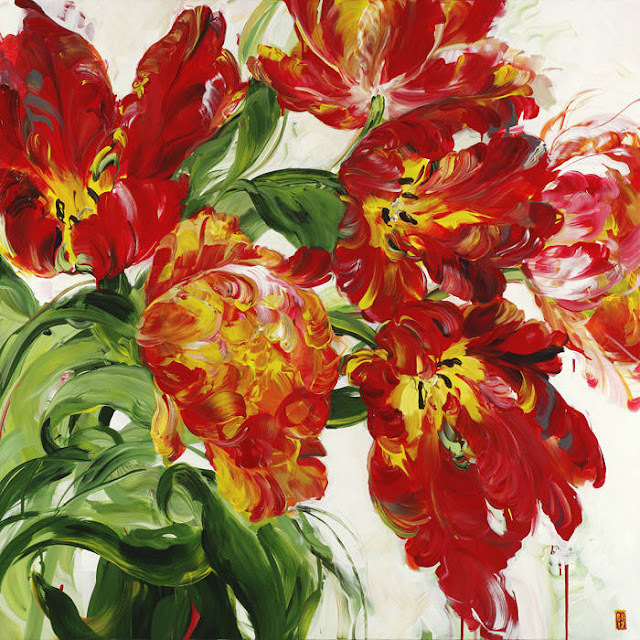 Her use of color and brushstrokes are inspiring and would add a big splash of happy to any room. Oh, how I would love one of her works hanging on my wall! 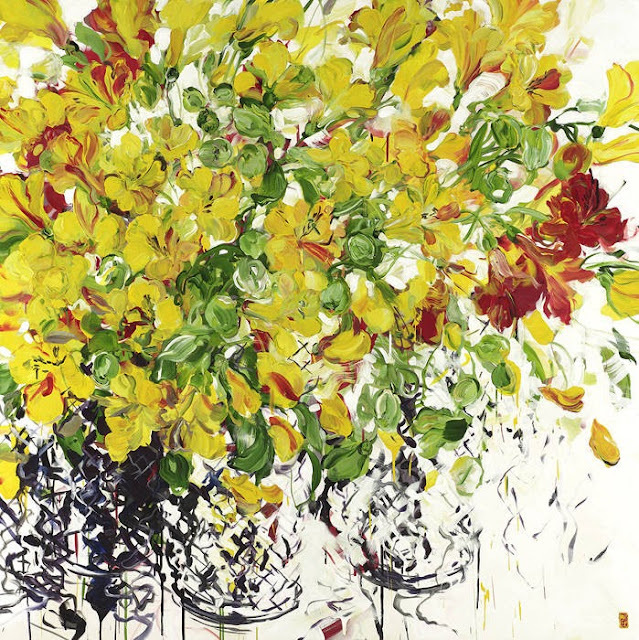 Her brushstrokes convey beautiful, rhythmic movement and her use of light gives vibrance to the colors. I'll be on the look-out for an exhibit in my area as I'd love to see her paintings in person ... please come to Los Angeles soon Bobbie! 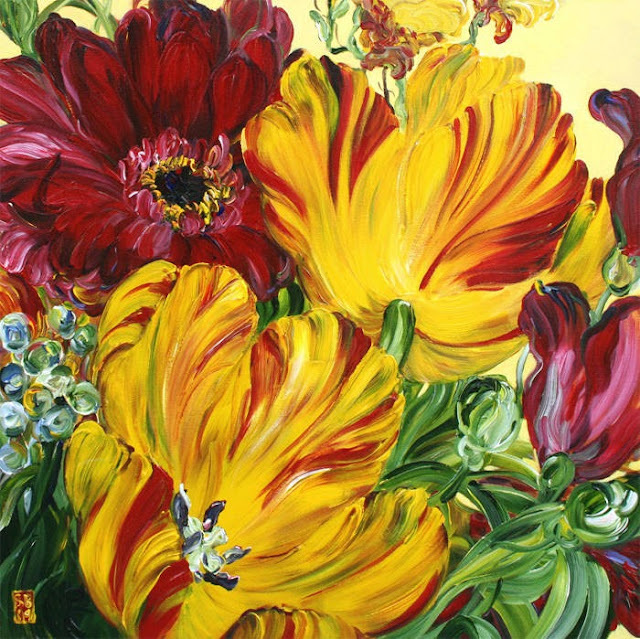 To see more of Bobbie's work, visit Foster White Gallery to see her exhibition catalog. Thank you for inspiring me today Bobbie!